The Tour of the Battenkill is a spectacle. Easily the biggest 1-day race on the continent, the race brings 3000 racers to the tiny town of Cambridge, New York. For one weekend, bike racers significantly outnumber local humans, and even local cows. About 1/3 of the course, and most of the climbing, is on narrow dirt roads. The terrain is an effective stand-in for the various Classicbergs of Flanders, with many steep 5-minute power climbs on pitted dirt. Although the route does change from year to year, there are a few signature features that are always in the race. Juniper Swamp (yes, really) is a very steep 2-minute dirt climb that almost always separates the field early. In the middle of the race, Meetinghouse Road is a ruler-straight series of corrugated steep dirt risers that are highly photogenic, but deeply painful. 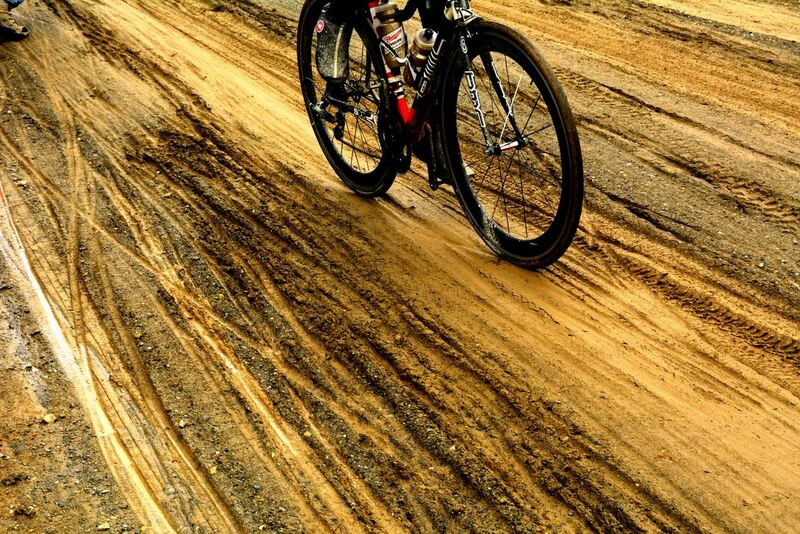 And finally, Stage Road is a make-or-break 6-minute dirt climb 5 miles from the finish. Although there is a lot of climbing, it’s not a climber’s race. The hills aren’t long enough, and the other challenges of the course overwhelm the overall elevation change. The course rewards power, positioning, and bike handling. 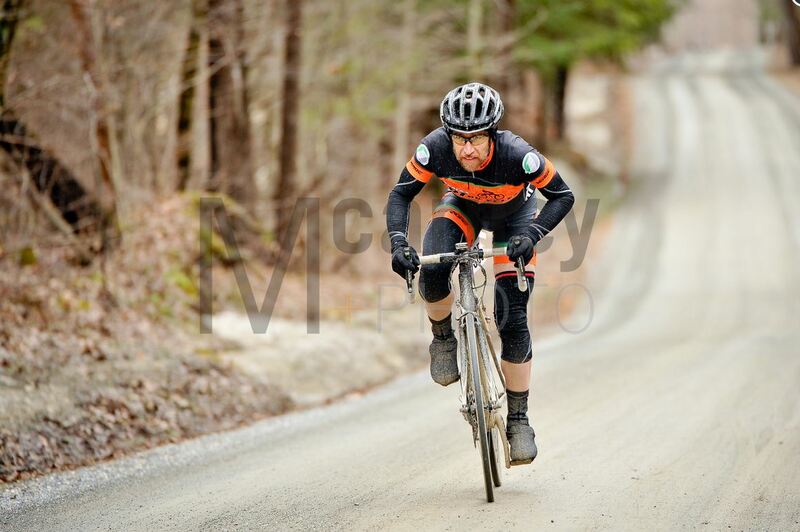 A note on the photographs in this post: Battenkill is a highly photogenic race, and many talented photographers invest their time and effort to produce high-quality images of the event. I’ve used watermarked images in this post, but please follow the photographer’s link to see all of their fine work. This year’s course was the toughest I can remember, with a new section of brutal and relentless dirt climbs around mile 50. Even in perfect conditions, times on this course would have been 10-15 minutes slower than last year. As in happened, conditions were far from perfect. The endless zombie winter that wouldn’t die left the ground frozen and drainage clogged well into the early spring. Ten days before the race, I rode the course with some friends, and some dirt sections were still covered with big patches of ice. One of our pre-ride group crashed on the ice, even. During the ten days between the ice ride and the actual race, there was enough warmish weather to melt the ice. But the combination of continuing snowmelt, deep frost line, and heavy rains the day before the race meant that we knew we could expect sloppy conditions. I was all kinds of nervous about the race. I’d been thinking about it, and training specifically for it, since last November. As the day approached, I fretted like Oskar Schindler about all the things I should have done but didn’t. More 8-minute intervals! More 3-hour threshold efforts! I rode up to the race with my riding buddy Jim. Jim races for the Bicycle Depot, and he’s something of a local legend. He’s 50, a former Olympic rower, and had some vague stint in the armed forces that may or may not have been some sort of super-soldier experiment. What we know for sure is that Jim doesn’t feel pain the way normal people do. As we drove up, we shared the usual nonsense pre-race plans: good places to try to attack, weighing the competition, that sort of thing. These plans never amount to anything, because as Mike Tyson said, everybody’s got a plan until they get punched in the mouth. My actual plan is usually just to conserve energy whenever possible and follow strong wheels. Jim’s pre-race plan is always to try to “race smarter”, but when the race actually starts, he usually goes off the front right away and time trials the entire race. Often enough, it works and he wins, partly because he’s a monster time trialist, and partly because, as mentioned earlier, he seems unable to feel pain. Knowing Jim and his habits, my secret plan for Battenkill was even simpler than my usual plan: I would glue myself to Jim’s wheel and hold on like grim death until my legs gave out. We got to the race, hemmed and hawed about how much to wear in the cold drizzle, wisely chose to underdress, pinned on numbers (fancy fabric numbers this year), warmed up a tiny bit, and said hi to a bunch of racers we hadn’t seen since last fall. Spring races are always fun that way. Race time. We lined up with 100 other guys in our cat 4B field, one of five cat 4 fields at this enormous race. Jim and I pointed out a couple of strong guys to each other, and I could see some other racers pointing out Jim to their friends. (Jim soloed off the front at Battenkill last year and won his field solo by nine minutes.) Shivery from cold and jittery from adrenaline, we waited for the countdown, clipped in, and followed our pace car through town for the neutral start. Jim worked his way right up to the front, as always, and I tagged along. Through the iconic Eagleville covered bridge and onto the first dirt section. Surprise! 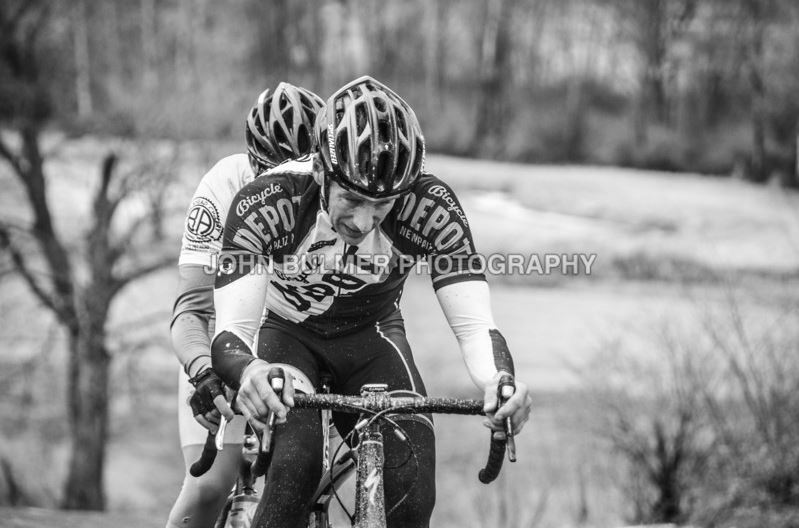 Conditions were not just sloppy, they were full on cyclocross sticky rutted mud. 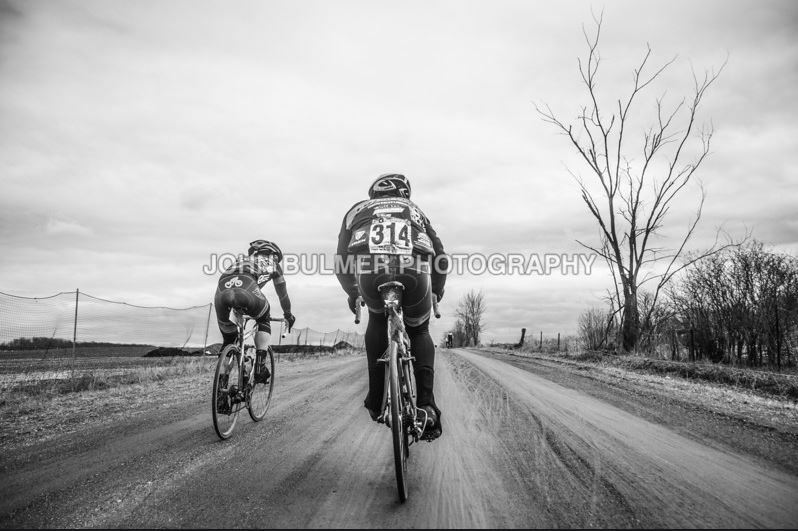 Jim continued to hammer away at the front, and I stuck with him. Conditions didn’t allow for looking back, but given Jim’s relentless pace, and the mud, we were clearly shedding a lot of the field. At mile 12, after a moderate paved climb, we hit Juniper Swamp, which was utter carnage. It looked like about half of the previous field was littered across the steep, muddy hill, trying to get back on their bikes, running up the hill, or just sitting on the side of the road sobbing. 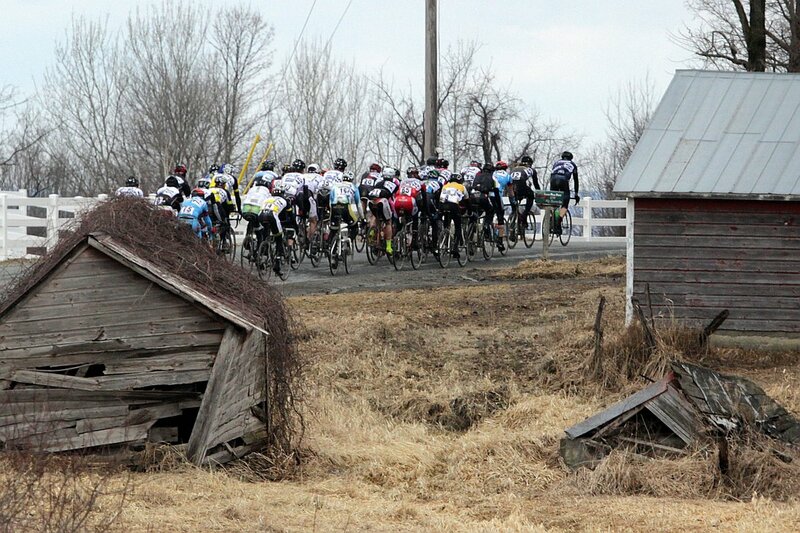 It was the bike race version of Antietam, or Gettysburg. Jim’s reptile-brain strategy of “pedal hard always” was suddenly brilliant, because it was critical to be at the front of the pack. About a dozen of us managed to ride the hill, while the remains of our field detonated against the exploded ordinance of the previous field. Me in the black/orange; Jim in the Depot kit. Jim may or may not be aware that he is currently in the middle of a bike race. Our lead group got over the hill and Jim finally relented to let us rotate through. After a few miles of pacelining, the moto ref told us we already had a minute and a half on the field. 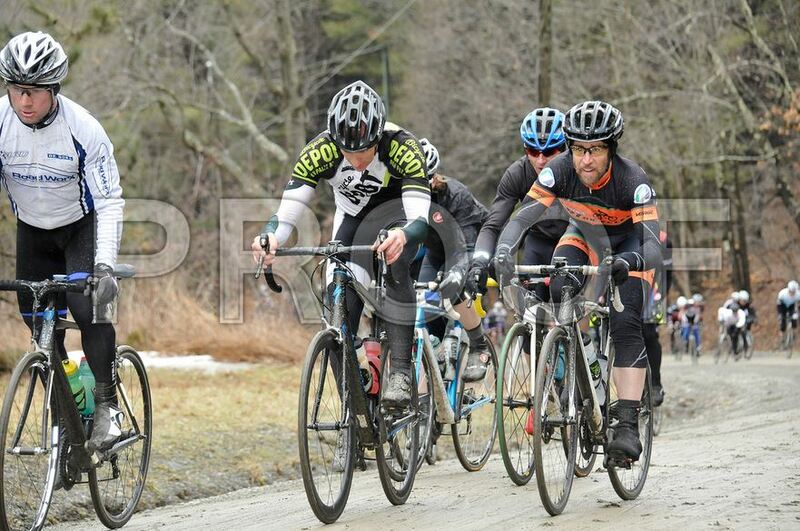 Many days were ruined at mile 12 of Battenkill this year. We hit the next significant hill, Joe Bean Road, and Jim reasserted his need to set the pace. For the next 20 miles Jim hammered away Cancellara-style, as our lead group slowly attrited away. Eventually Jim got a bit of a gap off the front, which slowly and inexorably widened, second by second. Around mile 45, with Jim about 10 seconds ahead and our chase group whittled down to 3 racers, we hit the new section of the course, which started with a very steep dirt wall of a climb. The front of the previous field (who had a 10-minute head start on us) was crawling up this hill like a group of ants. As we passed the previous field’s pace car, my two fellow chasers picked up the pace and I couldn’t respond. I watched them pull away, and descended into a dark, lonely place. At this point I was 4th on the road, with 20 miles to go. I tried to settle into a strong TT pace and keep it smooth and steady, but riding alone at Battenkill, it’s hard to keep that deadly off-the-back defeatism out of your spirit. I’d realize I was slowing to sunday-ride pace, pick it back up, only to slowly lose focus and slow down again. I crossed the line in 7th place, with no other racers visible ahead or behind. Jim was waiting at the line. The two chasers who dropped me had caught him, and he finished second. This photo was taken just after the catch. 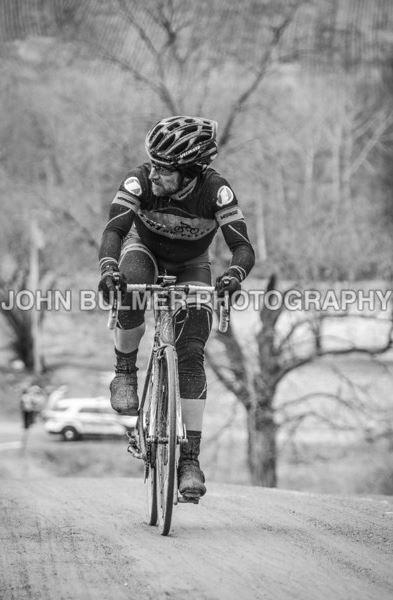 This amount of suffering, by the way, is what it takes to podium at Battenkill. This year’s Battenkill was not only the toughest Battenkill out of the three I’ve done, it was the toughest race I’ve done, full stop. Between the harder course and the muddy conditions, the race surpassed its reputation. It was, in a word, epic. After Jim’s podium ceremony and chugging a quart of chocolate milk, we stood around in our sweaty kits for a while, trading shivering war stories with racers we knew. Eventually it started to snow, and we decided to get back to my van before our physical condition got medically dangerous. Our trip home was an absolute comedy of errors. We got a half hour out of town, realized we’d forgotten our pit wheels, drove all the way back, picked up the wheels exactly where we’d dropped them off — apparently our wheel car never showed up for the race. Headed home again, planning to stop at the Falls Diner for a burger, realized we were going the wrong way, drove a half hour back to the diner, finally got our damn burgers (so good! ), and eventually got home having accomplished the 2 hour return trip in something like 5 hours. Another Battenkill in the books! A great race and a decent result. Now the spring races are done. It’s time to take a couple of weeks off of training, relax and reset for the summer. PS. I couldn’t resist generating a little animated silliness using some of the many sequential images. I’ve linked the images rather than embedding because they are incredibly distracting. Apologies to the very talented and prolific John Bulmer and Meaghan Carney. 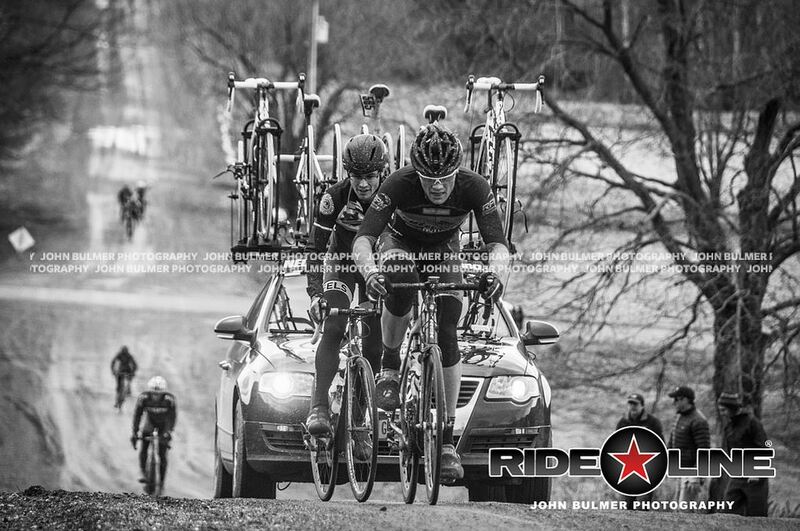 This entry was posted in bicycle racing, race reports on April 13, 2014 by John Schwartz.